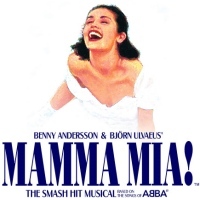 Multi award-winning Musical featuring the music of ABBA - story by Catherine Johnson, music composed by Benny Andersson and Björn Ulvaeus. "On the eve of her wedding, a daughter's quest to discover the identity of her father brings 3 men from her mother's past back to the island they last visited 20 years ago. The story-telling magic of ABBA's timeless songs propels this enchanting tale of love, laughter and friendship, and every night everyone's having the time of their lives!"